Setting up a photo booth for a Valentine’s Day party? Here are some useful tips. New series at DoItFromScratch on building your own photo booth using Sparkbooth. Looking forward to seeing this project progress! Check out this great Valentine’s idea using Sparkbooth over at Mommy Mishmash. Lighting can greatly affect the quality of images produced by your webcam. Here is a great article detailing ways to adjust the lighting of your webcam. Even the cheapest of webcams can still produce good images. 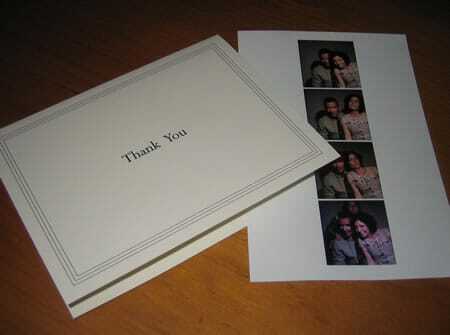 Print out Sparkbooth photos after the event to include in your thank you cards. The photos look great on 4 x 6 photo paper. Head over to 2000DollarWedding.com to enter a contest for a free copy of Sparkbooth. Contest ends February 2, so hurry! Quick tip, remember to run Sparkbooth in fullscreen for a kiosk-like experience. Press the fullscreen button in the lower-right corner, or press F7 on your keyboard to make Sparkbooth fullscreen. This will keep your guest’s attention and focus on the photo booth, and not be distracted by your computer’s desktop. It is more user-friendly, and a better experience.